ICT companies have acquired a more and more relevant role as progress has been made in the field of information and communication technologies. Currently, healthcare is closely linked to advances in these technologies. EHealth and mHealth (eHealth & mHealth) have become, together with the patient and health professionals, the cornerstone of health systems. Therefore, making innovative technological solutions available to patients and professionals will enable HappyAir to achieve its objective of improving the health of patients with chronic or rare respiratory diseases and consequently their quality of life. Act as facilitators of technology for patients in order to establish win-win relationships: to help patients in their day-to-day, which allow the development of quality technologies to the industry. Increase the visibility of small ICT organizations that have innovative solutions for patients. 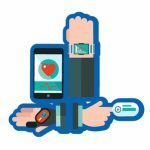 Support in the validation and testing of digital health tools. Extend a Network of organizations within the Happy Community of HappyAir.